Task: to create informative packaging for a rewards card. 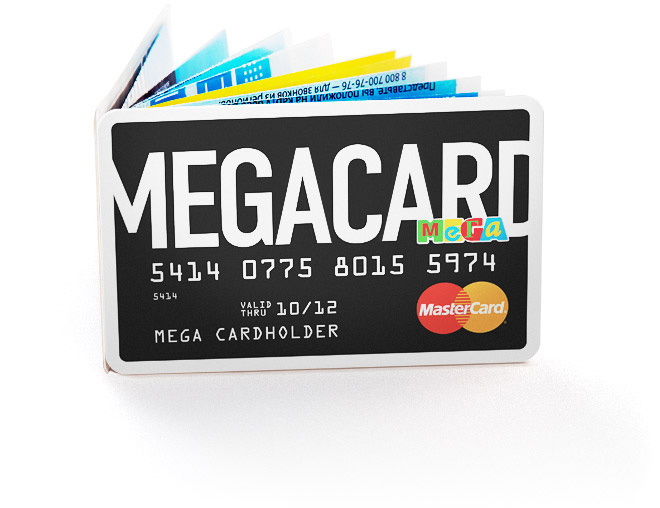 Megacard cards are given to visitors of Mega shopping and entertainment centers at registration desks. Each card comes with a pocket booklet with information on card features, conditions of use, deposit options, credit limit, as well as advise on safety measures and ATM use. Each side has its own time of day. The night side contains a mnemonic device to help you write down your PIN. To use it, pick any month you like and put the digits of your code in the squares starting with the month you’ve chosen. Then fill all other squares with random numbers. Only you will know where to start reading your PIN.